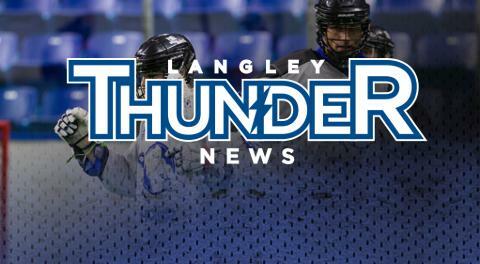 The Langley Thunder are a member of the Western Lacrosse Association (WLA), an amateur league comprised of teams in cities throughout southwestern BC that compete in the Canadian Lacrosse Association (CLA) for one of the most historic sports trophies in Canada, the Mann Cup. Arriving in Langley in 2004, the Thunder have won both team and individual awards. In 2011, Mike Grimes was awarded the Gord Nicholson Defensive Player of the Year and goaltender Brodie McDonald was chosen to be the Ed Bailey Trophy recipient for Rookie of the Year. In 2012, Brett Mydske was named the Gord Nicholson Defensive Player of the Year while Ian Poole was selected as the Fred Wooster Unsung Hero. In 2013, Mydske was named the Defensive Player of the Year again. 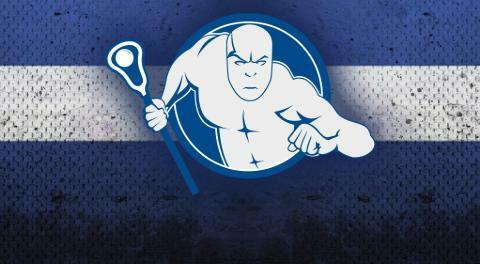 As a team, the Thunder have won the Western Lacrosse Association Championship in 2011 and 2012. The Langley Junior Thunder are a member of the BC Junior A Lacrosse League (BCJALL) and feature future and current NCAA and professional lacrosse players, ages 16 to 21, from around BC. 2012 saw the squad host its first playoff games at the LEC while boasting a roster that featured league all-stars Brandon Bull and Nick Stone, as well as BCJALL Most Sportsmanlike Player Brett Dobray. Dobray was also drafted in the third round, 26th overall, in the 2013 National Lacrosse League Entry Draft by the Vancouver Stealth. 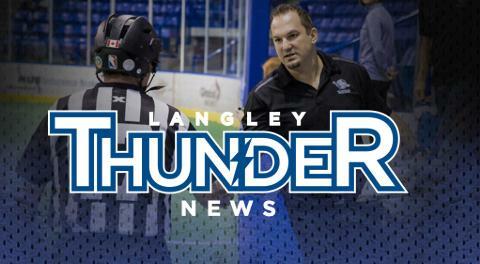 The Langley Intermediate Thunder are a member of the British Columbia Intermediate Lacrosse League (BCILL) which is comprised of teams in southwestern BC. Players who compete in the league are aged 16 to 18. 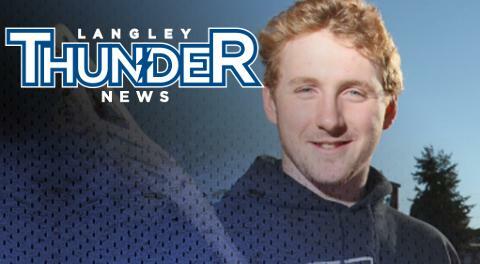 With a roster comprised of players who are mostly from the Township of Langley and products of Langley Minor Lacrosse, the Intermediate Thunder compete in the A division of the BCILL.